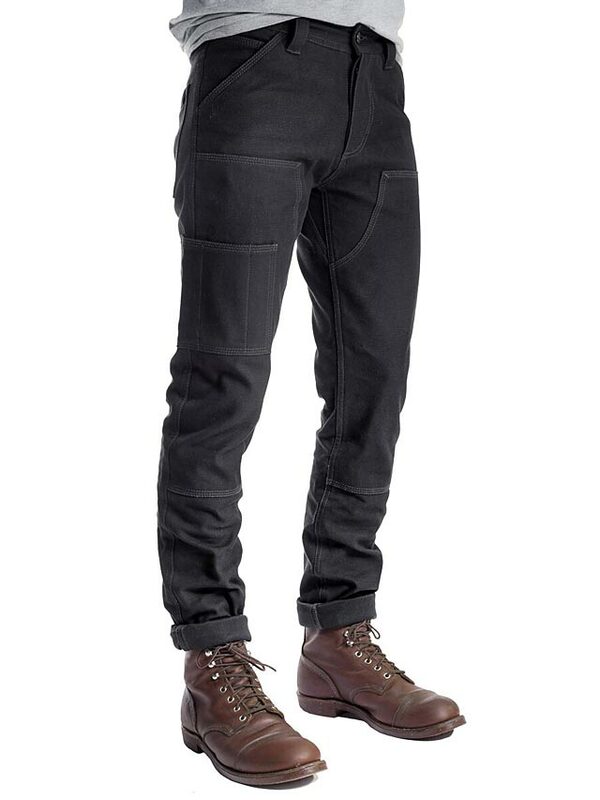 According to the boys, the Tasker Pant (why do I giggle whenever I see that word?) 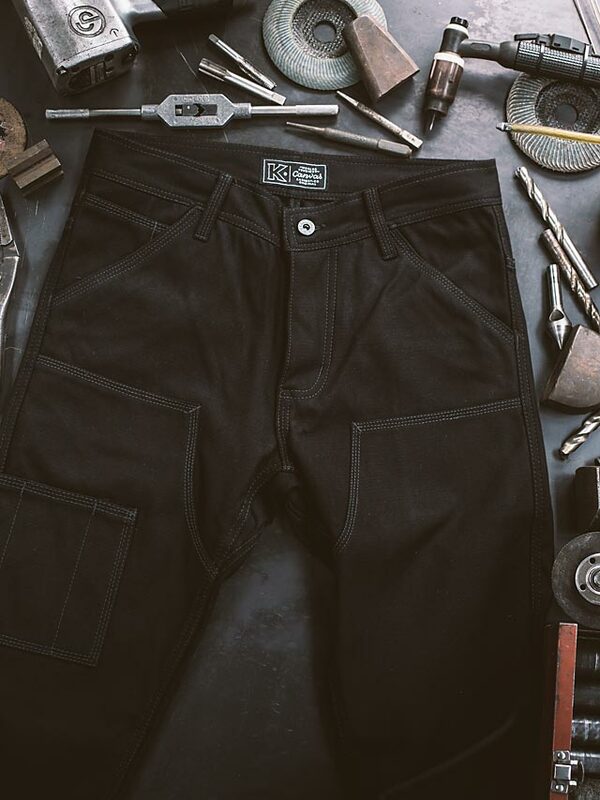 is the world’s first pair of work pants made so strong, they’ve been CE rated for motorcycle use. 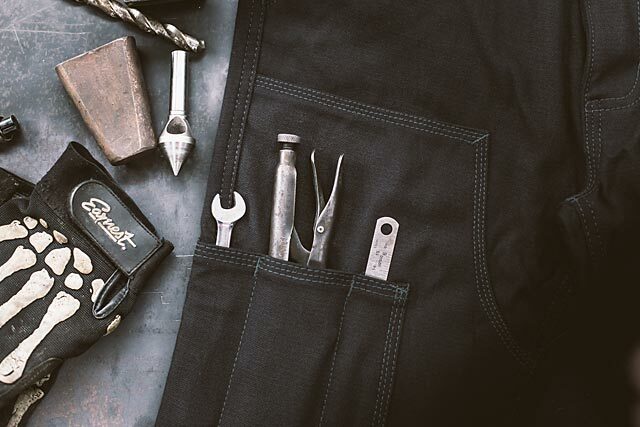 Work somewhere that requires decent protection from cuts, sparks, heat and abrasion? 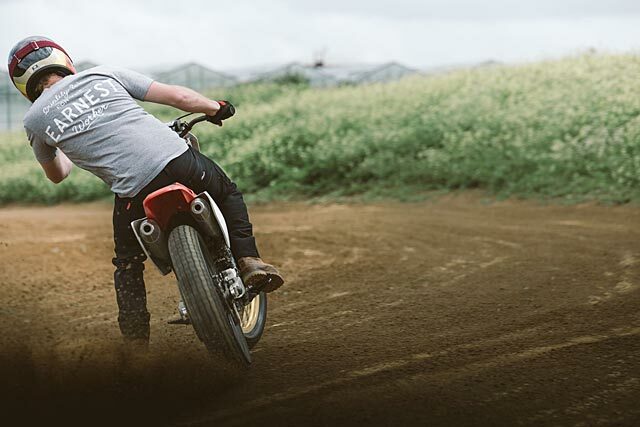 Now you can work in the same gear you rode to work in. 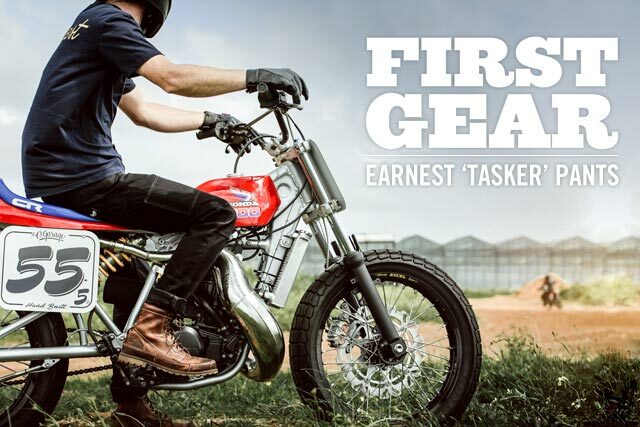 A long-time project for the Earnest team, they set their minds to creating the toughest pants to work in and ride in, all while remaining comfortable and well fitted for everyday wear. Clearly, a multi-layer design just wasn’t going to cut it here. 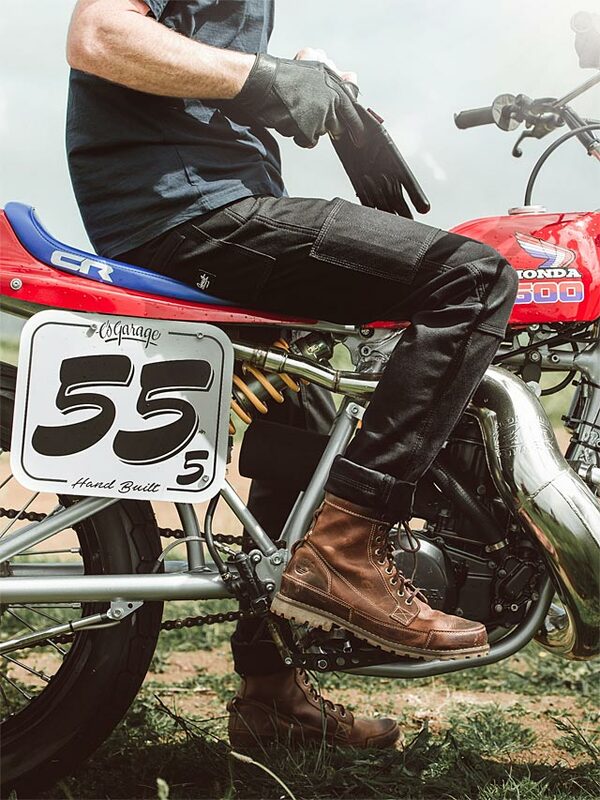 As most of you will know, those denim riding pants with the Kevlar padding sewn in get silly hot the moment you step off the bike in all but the coolest of weather. And as for wearing them while you’re working? Hell no, sweaty Joe. So, they took their traditional canvas weave they’ve use for other gear in their range and made it a whole bunch better by weaving Kevlar directly into the traditional heavy cotton threads. The result is something they are calling ‘K-CANVAS’. 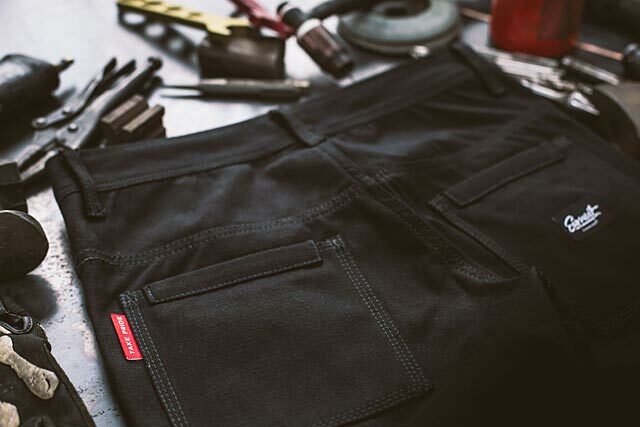 The results look promising; essentially they are promising a regular pair of single layer work pants with 20x the tensile strength of regular denim. No extra padding. No diaper or nappy vibes and no more sweaty downstairs mix-ups. With the Aussie (and Kiwi) summer rapidly approaching, we’ve asked them for a pair to try out for ourselves. We’ll give them a bash and report back soon. Watch this space.